If you're in Taipei, chances are that you would be recommended to go to Jiufen. It was once a desolate town after the gold rush, and its low rent and unique environment attracted many local artists. 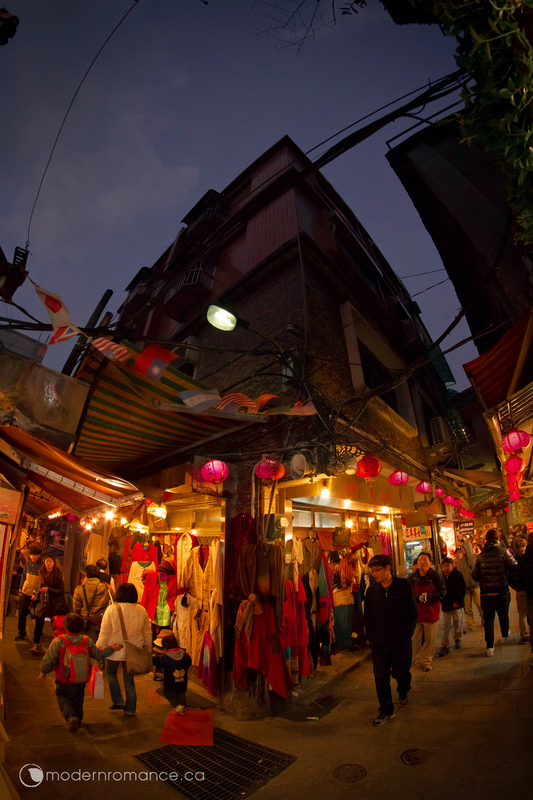 Over the last few decades, some movies popularized Jiufen, and it is once again bustling with activity. We were told however, since businesses have taken over the area without showing support for the local art and cultural community, artists are slowly leaving the place. Leaving the town and venturing up the hills, we found ourselves a guide. Our volunteer was a dog with a collar ringed with union jacks. It went ahead of us, stopping every now and then to check back on us before scurrying up the steps. We theorized that it is peeing periodically so it doesn't get lost. After we followed it for more than half an hour up a relatively steep hill in hopes of it leading us to some treasure or awesome lookout (and hopefully not somewhere haunted), we gave up and made our way back down. To our surprise, the dog followed us back down. It abandoned us after we stopped to catch our breath at a gazebo midway to town. This is Number 5 tunnel. We were told it's locked up to prevent people from falling into one of the many random deep shafts. Young people liked to go in the cool (and sometimes chilly) tunnels during the summer to hide from the heat. We chanced upon this little gem as the sun was setting. 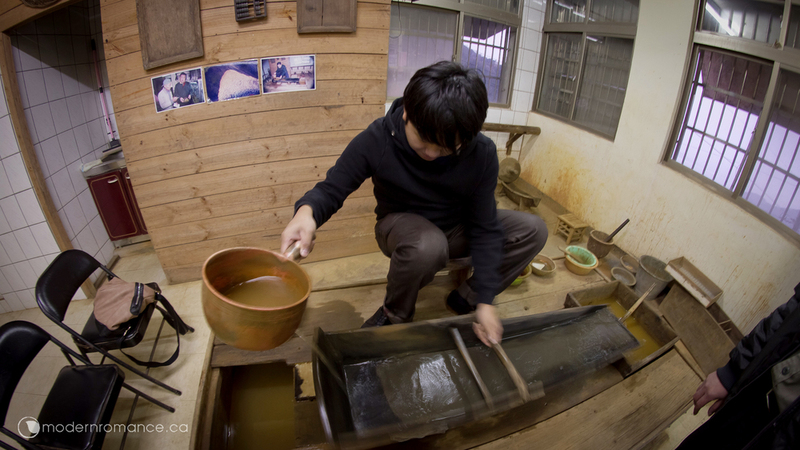 For just NT$100, you can enjoy a tour of a family's own private gold-mining museum. We highly recommend it. Our guide was the son of one of the early gold prospectors, and he had committed himself to preserving the family trade and collection of relics. You will get to hear, see, and try with your own hands the unique techniques of gold mining/panning of this particular family, quite different from western/Japanese methods. Some equipment are so intricately designed and weighted that they can only be made by master carpenters, who have passed on without disciples. It is a pity such arts can be so easily lost to us. We were told that if we sifted gold out from the rocks and dust, we would get to keep it. Alas, it was a lot harder than it looked and we left empty handed. Jiufen is said to have served as an inspiration for Hayao Miyazaki's Spirited Away. The tunnels and lanterns that lit up the town at night do remind us of the film. As the stores began to close for the night, we bought some snacks and hurried to line up for a bus home.